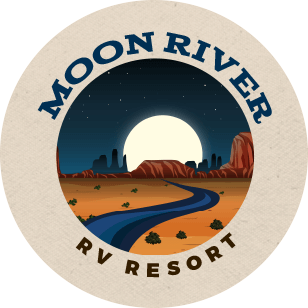 Our year-round facilities are a major reason why Moon River RV Resort is the highest-ranked Good Sam RV park in the area. Whether you’re RVing for a just a few days, a week, a month, or longer; you’ll really appreciate all that we have to do. No RV? No Problem! We offer Park Models and 5th Wheels for rent. Our rentals are fully-furnished, including linens for your comfort. No aggressive dogs. Ins. does not allow pit bulls or pit bull mixes.